As with other regions in the Horn of Africa, nation-based traditions of historiography and epistemologies in this area have usually perceived the space inhabited by Tigre-speaking societies as somewhat on the margins, on the very periphery of the dominant historical polities in the broader area, and perhaps especially so vis-à-vis the highland ‘Abyssinian’ polity in its various historic configurations. While stimulating studies on areas and communities of western and southern Ethiopia have been carried out and published in the 1980s and since, little has been done in that respect in the northern parts of the Horn, including the Tigre area. 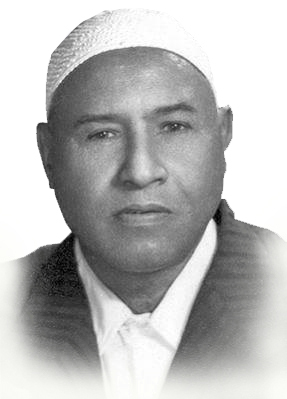 90% of the credit of preserving Eritrea in one piece goes to Ibrahim Sultan Ali. Bertolt Brecht, "Life of Galileo"
In Eritrea, music is an integral part of daily life. Songs accompany the rites of passage, work and entertainment.﻿ They were also important in the life of the traditional Tigre courts, and are still used for political comment, especially in Barka. Ibrahim Sultan Ali was born in Keren in March 1909 of a farmer/trader Tigre/serf from the Rugbat of Ghizghiza district in Sahel. He attended Quran School under Khalifa Jaafer of the Halanga of Kassala. In Keren, he attended technical training at Salvaggio Raggi and at Umberto School in Asmara. His only son Abdulwahab, lives in Paris. BY JONATHAN MIRAN Bellingham, Wash., U.S.A. The study of Islam in Eritrea the faith of approximately half of the country’s population is still in its infancy. Similar to other fields of scholarly inquiry regarding Eritrea, research on the historyof Islam in the region has become more feasible only since the early 1990s as the newly independent state became accessible to researchers, both locally-based and foreign. The physician and the researcher. 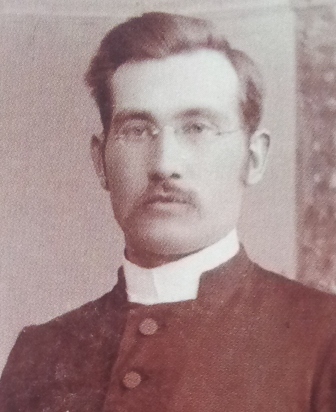 Richard Sundström was born in 1869, he was a minister of religion. In those days it was not unusual to complement religious studies with other knowledge that’s why Richard went to the United Kingdom to study tropical diseases and qualified as a physician. Understanding the Tigre knowledge and information system. Sources of information on the peoples of the horn of Africa are sometimes confusing because of conflicting terminology. Names of peoples and languages differ due to different names used in the Amharic or Tigrinya. The incident happened more than 100 years ago; but its significance, mystery and strangeness still keeps it important. 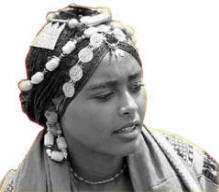 The story of a young Eritrean begins in a village called Gheleb, 60 kms from Keren; but it is still unknown where it ends. In this country there are about 30 villages and 20,000 peoples. like an island on the sea or an oasis in a desert, that happy land is confined with mountains of natural bulwark. 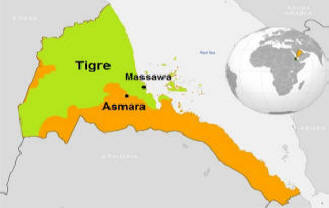 Tigre language is one of the Semitic languages spoken in Eritrea. It is the second most spoken language (following Tigrigna) in the country. However, its speakers are widely distributed over the country. The tribes of Sahel, and others. HOW WE MANAGED TO LIVE AT MASSAWAH: By HENRY BL.ANC, M.D., MI.R.C.S.E., F.R.G.S., etc., Staff-Assistant-Surgeon, Bombay Army. Language, Education, and Public Policy in Eritrea. African Studies Review, Apr 2003 by Woldemikael, Tekle M.
Memories of a British envoy to Abyssinia's Emperor Theodore. Names of families and tribes.